«... will give us more soldiers ready for combat on shorter notice,» says Minister of Defense Ine Eriksen Søreide. The Defense Minister on Friday announced the new structure of the army and the home guard. The plan pays special emphasis on northern Norway. In Finnmark, Norway’s northernmost region, gets a full cavalry battalion at Porsangermoen. That means 400 soldiers, including conscripts, and heavy arms. Finnmark borders Russia to the east and the new structure of the Norwegian army comes in response to what the minister says is «a more demanding and less predictable» security situation. «This shows will and ability to defend ourself in the north, and it is deterrent,» Ine Eriksen Søreide says. Additional to a cavalry battalion, a new Ranger Company with 200 soldiers with light anti-aircraft and anti-armor weapons will be based with the Garrison of Sør-Varanger, directly on the border to Russia. That decision was taken last year. While Porsangermoen is some 200 kilometers west of the Russian border, the Garrison of Sør-Varanger is located next to Kirkenes airport some 5 kilometers from Norway’s border to Russia’s Kola Peninsula. Also the Home Guard will be strengthened in Finnmark, and Home Guard forces in other parts of Norway will be equipped and trained for fast transfer to Finnmark in case that should be needed. 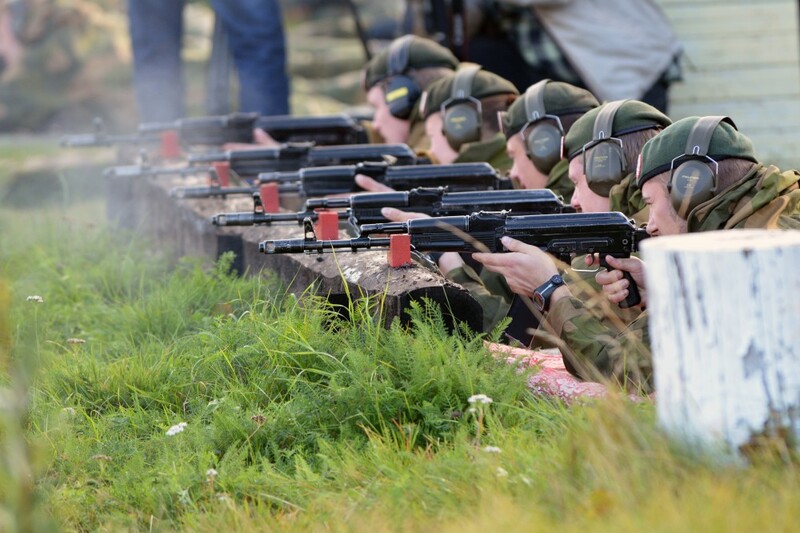 The Home Guard and the Army will be co-located with the army in Finnmark «to ensure uniformed planning and management of land operations,» the ministry informs. Presented on Thursday, the government’s budget for 2018 gave a signifiant boost to Norway’s Armed Forces with a 3 billion kroner (€321 million) increase in spendings. «The budget proposal strengthens our armed forces. Together with our Allies we have pledged to increase defense spending in order to protect our mutual values, security and interests at home and abroad. Our aim is to ensure that the armed forces have the training, equipment and support necessary for their work. This budget provides for exactly that, states the minister of defence, » Defense Minister Ine Eriksen Søreide says. Read more military news from the high north in our dedicated section on security.